Veeam’s very own Kevin Rooney, Vice President of Americas Partner Sales at Veeam, has been selected again this year to represent Veeam amongst the 32 executives. Last year, Kevin had an impressive run, making it all the way to the Final Four in his rookie year of the Madness. 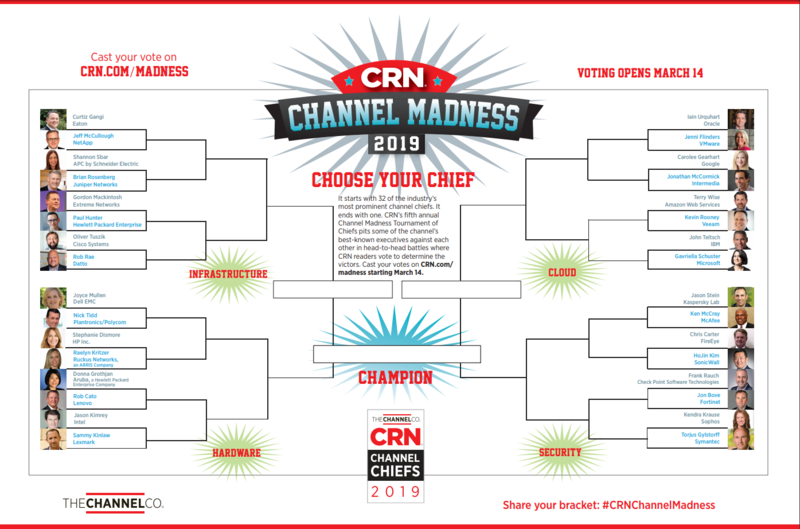 With the support of the entire Veeam community, we are confident we can take home the Channel Madness crown for 2019. The 32 participants, picked from CRN’s 2019 Most Influential Channel Chiefs list by CRN editors, represent a variety of vendors across the technology industry. Each reflects one of the four technology regions: cloud, hardware, infrastructure and security. We are asking our fans (aka partners, customers and employees) to help Veeam make a slam dunk during this first round against Terry Wise, Vice President, Global Alliances and Channels at AWS. Visit CRN.com/madness and click the “Vote Now” button. Be sure to vote before round one voting closes on Thursday, March 21 at 12 p.m. ET. The winners of round one will be announced on March 21 when round two voting begins. Good luck to all the Channel Chiefs and of course to our own Kevin Rooney!